Democrats kicked off election season on Wednesday with a meet and greet event at the UAW Local 5 Union Hall in South Bend. Over one hundred people were in attendance as candidates for municipal offices made the case for their candidacies. The event provided an opportunity for all candidates in local races to speak before a large crowd and then answer questions during an informal face-to-face question and answer session. It also provided an opportunity for residents to register to vote and to look up their city council districts. Jason Critchlow, the St. Joseph County Democratic Party Chairman, invoked Abraham Lincoln during remarks before introducing the candidates. “Now we are engaged in a great Civil War,” Critchlow said jokingly, noting that the party would not be endorsing any candidates. The meet and greet, which was the first opportunity for most candidates to engage with voters, proved to be more civil than war. The tone from most candidates was cordial. Few barbs were thrown at rivals. Several of the candidates are first-time office seekers and displayed the anxiety that comes from an appearance before a large crowd. “I’m sorry, I’m not a public speaker or a politician,” Kareemah Fowler, a candidate for city clerk said during her speech. Fowler laid out a vision for improved use of technology in the clerk’s office. Regina Williams-Preston received perhaps the most enthusiastic reaction from the audience. 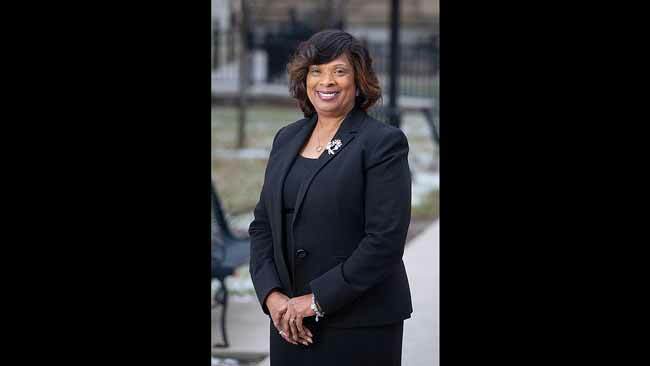 Preston is a candidate for city council in the 2nd district currently represented by Henry Davis Jr., who declined to run for re-election and is instead mounting a bid for mayor. Preston, a native of South Bend who graduated with a Master’s in Education from IUSB, spoke of the need for good paying jobs, a quality education, and reliable transportation. “We need stability for our children,” she said, noting that poverty in the city was putting a huge strain on families. Economic themes were popular among many of the candidates. “People are hurting, especially in the 2nd district,” said Gil Michel, who is also running in the 2nd district. “The reason there is such low turnout is because people don’t believe their vote will make a difference,” Michel said. Others spoke about the need to build positive relationships and work with others with divergent views. 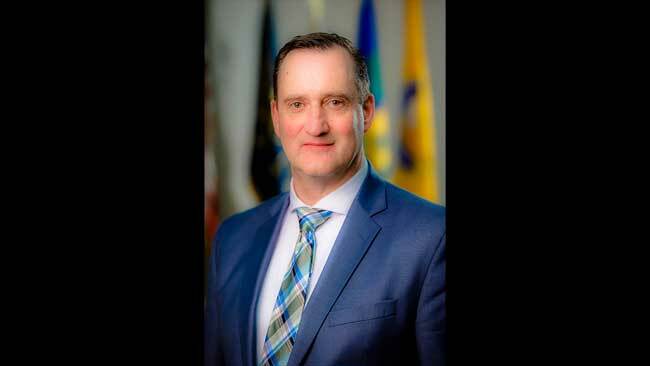 “I’d like to be a member of the Council that brings consensus-building back to the Council,” said Randy Kelly, a candidate for Common Council in the 3rd district. 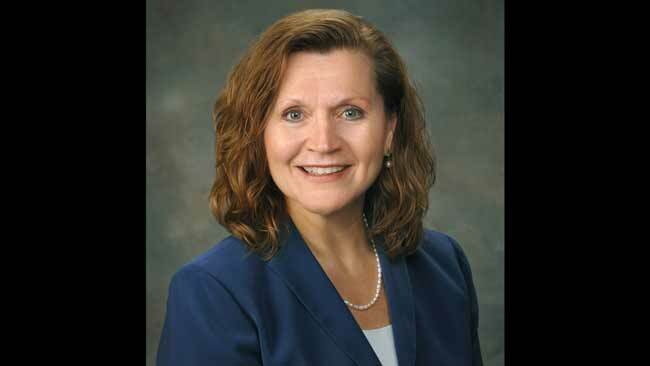 “I believe that working together we can do better,” said Sheila Niezgodski, the wife of state representative David Niezgodski, who is running in the city’s 6th district. Individual candidates had three minutes to provide their opening remarks. 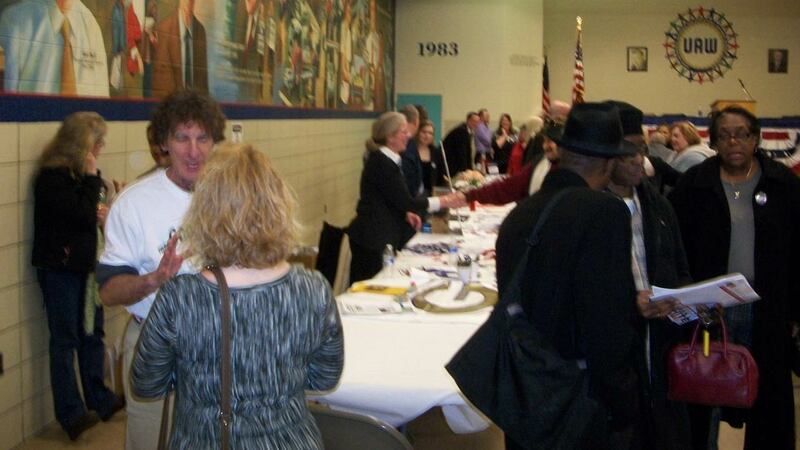 Afterward, voters had the chance to meet one-on-one with the candidates at tables that were set up in the union hall. Former Indiana governor and South Bend mayor Joe Kernan, who was in attendance, briefly spoke to the South Bend Voice after the event. The party’s county chairman also thought the event was a success.